Handbags are the best accessories fascinated by women, as they make a great fashion statement. Discover the different types of bags by glancing through this article. Ask any woman and she would tell you that without a handbag, a woman is incomplete just like a man without a wallet. The best accessory that a woman can own, a handbag is a functional item that is used for carrying important belongings. To add on, these handbags are nowadays considered to be one of the most significant preferences for displaying the latest and most trendy fashion styles in a gathering. Thus, you can find every woman owning not one or two, but several handbags to match with every other outfit to look fabulous and different amongst the rest. This simply adds to the job of handbag designers who are constantly launching new designs, styles and patterns of handbags for women to choose from. But how many of them can you remember? Hobo, satchel, tote, baguette, any more! Forget about remembering, the terminology used for describing the bags can drive you crazy. Nonetheless, there are many more different styles of handbags you could have ever imagined of. Find out a few of them by scrolling through the following lines. A satchel handbag is a structured bag with two large handles, locking hardware, and a wide, flat bottom. Used by doctors in the olden days, satchels have evolved over the years giving them a modern-day designer handbag look. A satchel bag can be either small or large and is available in a number of colors and patterns. The bucket bag is synonymous to its name. Shaped in the form of a bucket, a bucket bag is a throw-everything-into-it kind of bag with lots of storage room. The top is open usually with a zipper and a shoulder strap, making it easy to carry. A classic bag, hobo bags are one of the most popular handbags that every woman would love to own. The bag is characterized by its crescent shape and small handles that are large enough to go over the shoulders. It has a zippered top and can be used for any occasion due to its flexibility. Tote bags are medium to large-sized bags, popular as everyday bags. Almost every handbag designer is making a tote bag as they are great for shopping, beaches, and other purposes. With large storage room, tote bags are capable of carrying a number of items. They relieve women from the fuss of zippers. Also, they have long handles for easy access. They are available in different fabrics and patterns in various colors of blacks, browns, silvers, grays, and so on. A clutch is a small, but long (rectangular) bag intended to be carried in hand as it does not have a handle. It reveals a very chic look like that of a purse, allowing you to store your essentials, such as makeup, lipstick and other cosmetics to add touch-ups and freshen up yourself during the day. Clutches are best used for evening events and other formal, dressy occasions. The name is derived from the town Duffel in Belgium where the cloth used for making Duffel bags originated. They are large bags used for traveling and sports purposes. They have large compartments that are used for storing valuables, such as clothes, shoes, and other necessary things required while staying away from home. A wristlet is a clutch-shaped bag that serves two purposes. 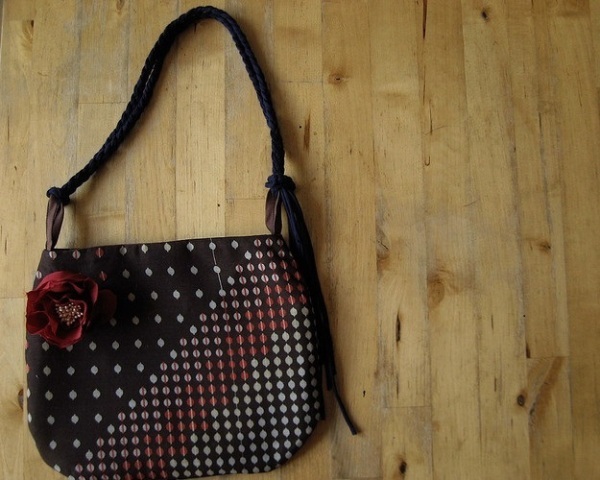 First, it can be used as an individual purse and second, it has an attached leather or bracelet-looking strap which can be connected to a larger bag allowing it to dance freely. It is generally used for keeping important items, such as keys and money. Available in different miniature sizes, colors and patterns, wristlets seem overwhelming on large bags giving them a cute and attractive look.